Instead of mindlessly slavering as you stagger across town searching for hapless victims with whom to share your event details, why not take control of pre-event publicity with the bloody appeal of a full bleed Zombie Woman Flyer? You get sixteen lines of text on this template to spread all the details without losing your mind. 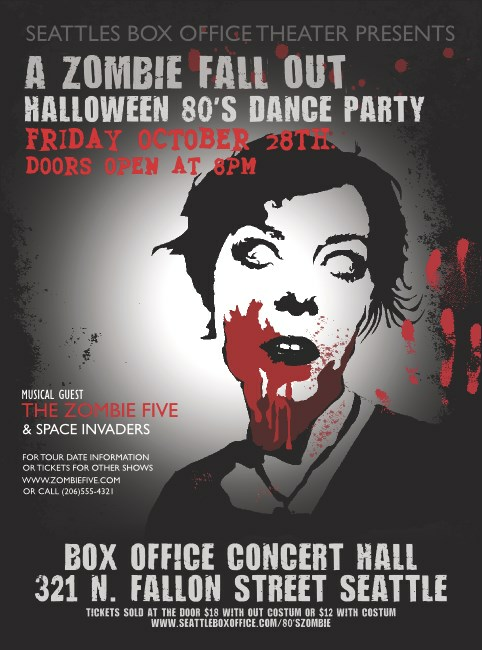 With 24-hour turnaround, TicketPrinting.com delivers substantially faster than the fastest zombie.